Dr. Tracy L. Cross holds an endowed chair, the Jody and Layton Smith Professor of Psychology and Gifted Education, and is the Executive Director of the Center for Gifted Education at William & Mary. 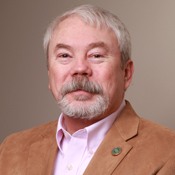 Previously, he served Ball State University as the George and Frances Ball Distinguished Professor of Gifted Education, the Executive Director of the Center for Gifted Studies and Talent Development, and the Institute for Research on the Psychology of Gifted Students. For nine years, he served as the Executive Director of the Indiana Academy for Science, Mathematics, and Humanities, which is a residential high school for intellectually gifted adolescents. He has published over 120 articles and book chapters as well as 50 columns. Dr. Cross has also made over 200 presentations at conferences and has published eight books. He has edited seven journals, five in the field of gifted studies, and is the current editor of the Journal for the Education of the Gifted. He received the Distinguished Service Award from both The Association for the Gifted of the Council for Exceptional Children and the National Association for Gifted Children, the Early Leader and Early Scholar Awards and the Distinguished Scholar Award from NAGC, and the Lifetime Achievement Award from the MENSA Education and Research Foundation.